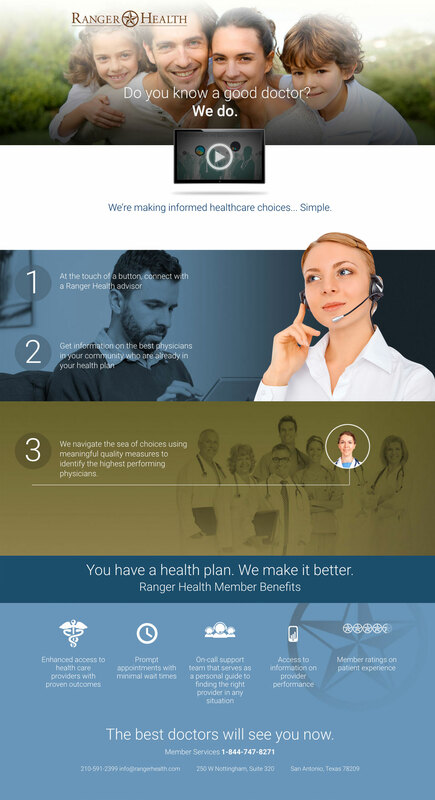 We were called to help illustrate a simple concept that will take healthcare to a new level. Imagine a service who will allow you to keep your insurance, but do all the leg work in getting you the best doctors on your schedule. Let me introduce you to Ranger Health. The best doctors will see you now.